Located in North Wilmington along the Market Street corridor, Fermental is set inside the comfortable confines of a 1940’s bungalow with a unique assortment of rooms and seating areas to peruse and/or sample their vast inventory. live music, food trucks, and an expansive selection of quality libations and accompanying accoutrements including imported cheeses, meats, olives, and wine ice cream (yes, wine ice cream). 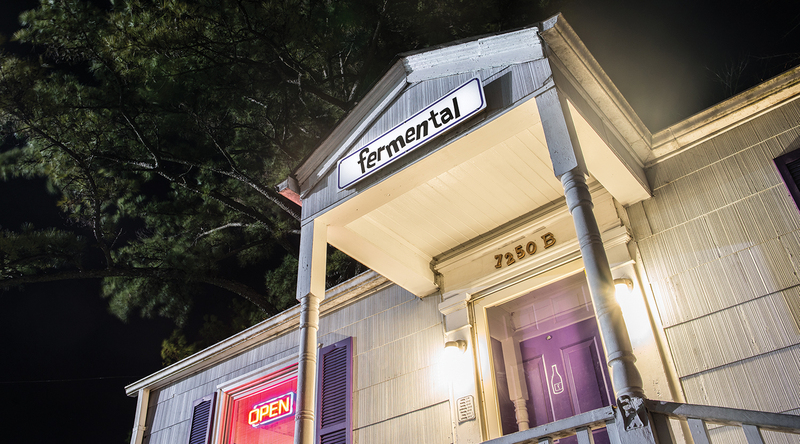 Fermental also serves as one of the few local locations to rent, purchase, and order kegs for home use, special events, weddings, and more. The shop sells equipment and supplies for home draft systems as well as offers service calls from trained professionals. Join the fine folks at Fermental every Friday evening for their weekly free wine and beer tasting at 6 pm, alongside local food trucks in the beer garden, coupled with live music, outdoor games, and more. The entertainment continues throughout the weekend with additional food vendors, brewery events, wine tastings, and other fun activities. Children and pets welcome. Casual. Comfortable. Fermental.